Heavyweight styrene cutlery is the next best thing to silverware. Offers full-size dinner length and strong, shatter-resistant and durable construction. Ideal for heavy, tough-to-cut food like steak and chicken. 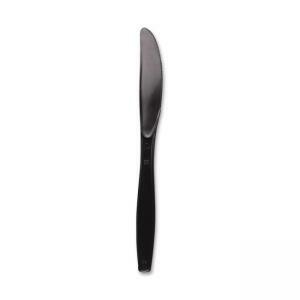 Plastic utensil is ideal for office parties, luncheons and break room use. Coordinates with any table setting. Heavyweight for rigidity and flexibility. Saves time, labor and money.